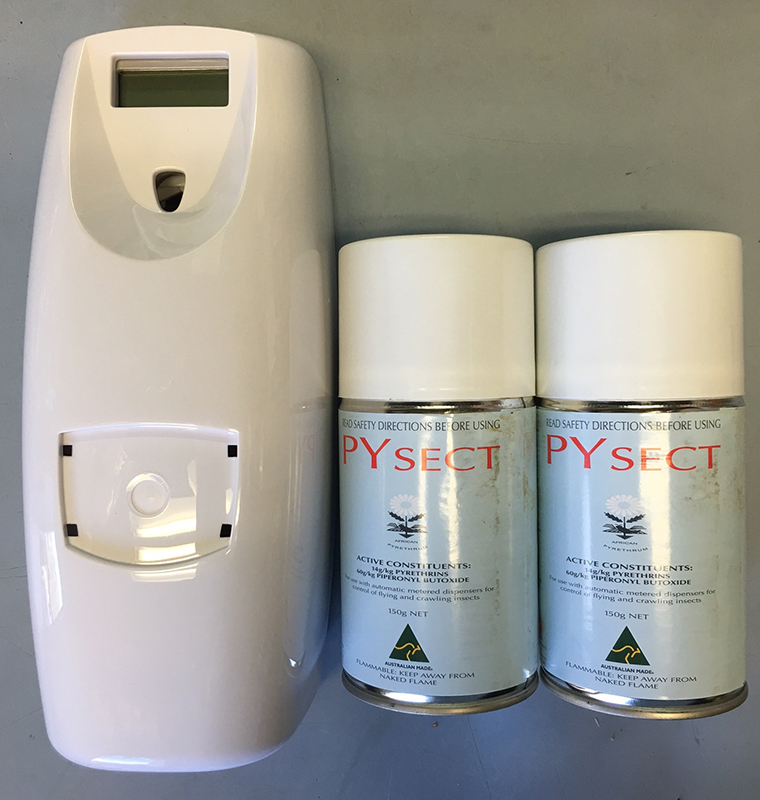 Pysect Insect Control is excellent for domestic and public service areas, food premises, hotels, motels, hospitals, warehouses, factories, ships, clubs and agricultural buildings such as milking and poultry sheds, barns, stables and kennels. Controls flies, mosquitoes, moths, ants, silverfish, fleas, cockroaches, spiders and earwigs. Fully programmable dispenser. Set spray frequency, turn off at night or on weekends. There are just too many insects that bug the hell out of you, and we know exactly how you feel! That's why we provide the best and most effective pest control solutions for all your pesky pest problems. With our pest control supplies, you can say goodbye to bugs, fleas, ticks, ants, beetles, and roaches immediately. We have the safest and most efficient organic pest control for homes or professionals. 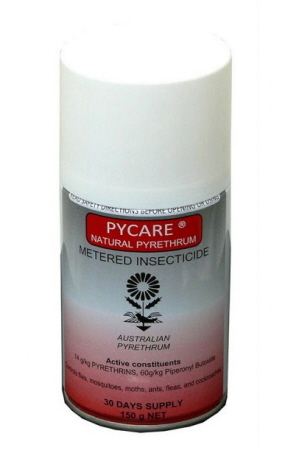 Rest assured that you will get rid of those tiny menaces in no time using our top quality products.